This page provides a brief run-down of the things you need to know to plan your own visit. The most important thing is to listen to your tour guide. These guys know their way around, and know which areas are safe and which aren't. Don't go wandering off on your own, and in particular stay away from vegetation and water unless both your guide and your geiger-counter say it is safe. Don't eat or drink near the reactor or in Prypiat - that's the main way in which radiation is absorbed into your body. You will be given lunch in Chernobyl - the food comes from outside the zone. Borrow one or buy one. I wouldn't do the trip without one, personally. The one I used was an MKS-05 Terra-P, which turned out to under-read by a factor of five, but at least it gave a very rough guide. You can pick them up on ebay from around £90. The biggest risk is highly radioactive dust being blown from the reactor or other highly irradiated area, and then breathing it in. I would definitely give serious consideration to wearing a mask (the DIY ones used for sanding). In the event, on the day I visited, it had just stopped raining, and there was no dust in the air, so I didn't wear mine - but I did have it with me so that I had the option. Some people wear disposable shoes and outer clothing. I didn't; you should make your own decision. The nearest airport is Kiev, in the Ukraine. British passport holders don't need a visa, other nationalities should check with the embassy. BA has one flight a day, and at the time of writing a return flight will set you back either £300 or 20,000 BA Miles plus taxes. Note that it is pointless emailing them, and I couldn't get them to answer their phone either - you need to fax (the fax number is at the bottom of the page). A tour costs US$540 regardless of the number of people on it, so they simply split the cost between the number of people booking for a particular date. I strongly recommend asking them for a private tour, as that way you and/or your small group can tell the guide what you want to see from the various options they will offer. The ideal is only one or two people, as that way the guide can keep an eye on you and will be more relaxed about you exploring. The tour company will take care of the permits, but they will need all the names and dates of birth at least a few working days in advance. You can see for yourself what is included on my Exclusion Zone page. Note that we were on a tight schedule so had to skip the visit to the resettlers. The guide will pick you up from your hotel, usually at around 9am. 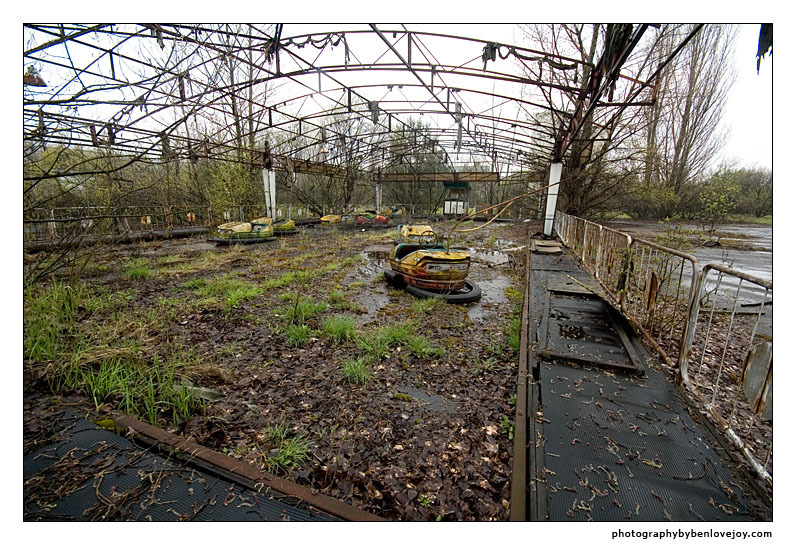 Chernobyl is 90 miles away, and the drive takes about two hours. You'll be back at your hotel at around 7pm. You'll be given lunch, but take a bottle of water with you for the drive. You need to take your passport as evidence of identity at the entrance to the Exclusion Zone - these are checked against the names on the permit. If you only want to visit the exclusion zone, the trip can be done in three days and two nights: out on day 1, tour on day 2, back on day 3. You will probably want to add at least a day in Kiev. I think that covers everything - enjoy!